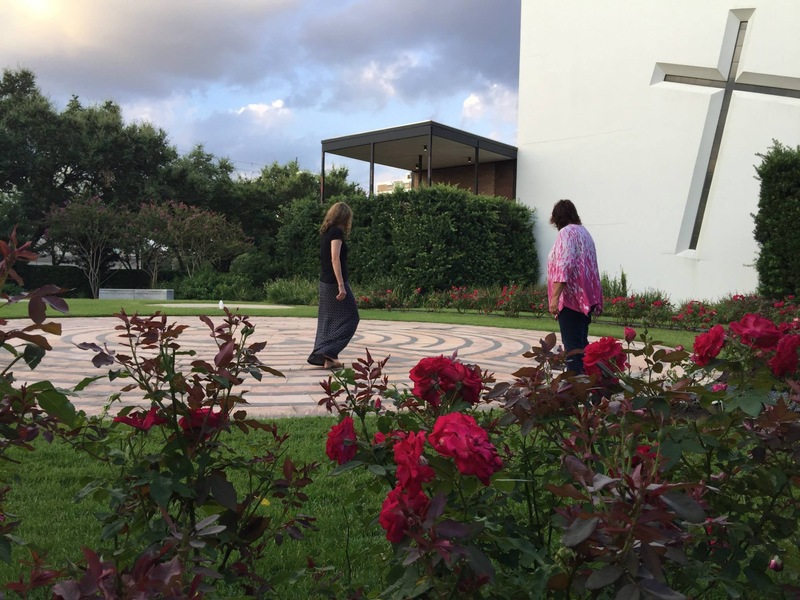 During this greet we will visit a few of Houston’s labyrinths, all outdoors, nestled among trees and flowers close to historical or prominent Houston landmarks. These labyrinths resemble those of ancient times, a single winding path leading to a center. Labyrinths are shrouded in mystery and I will be unfolding part of that mystery by sharing the history of this ancient tradition with you. Why were labyrinths built? How old are they? Why do people walk labyrinths? All important questions which I will endeavor to answer. If you so chose, you may walk one of the labyrinths so bring comfy shoes and perhaps a journal or sketch pad to draw or write about your experience. So whether you wish to focus on the rich history of labyrinths or take a quiet walk to gain insight or perhaps do both, this Greet is for you! Hi! 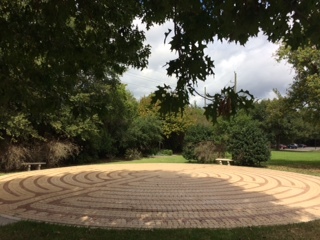 I'm Kathy, and I became interested in labyrinths when I attended a workshop given by Lauren Artress, the woman who was largely responsible for the revival of labyrinths in the United States. 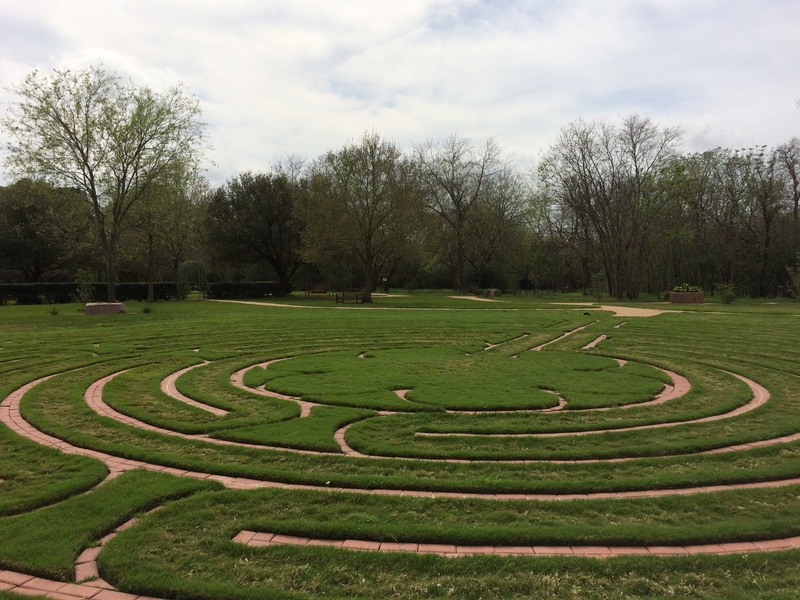 Since attending Artress's workshop, I have walked many of Houston's labyrinths as a meditative tool and have also read extensively on the fascinating history of labyrinths. 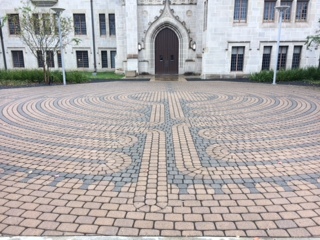 I would love to share some of that history with you and to show you some of my favorite labyrinths in Houston! My sister visited from Calgary, Canada and we took the labryinths tour with Kathy. On Feb 26,2018, it was great! Very interesting especially if you meditate and believe in metaphysics as my sister does. 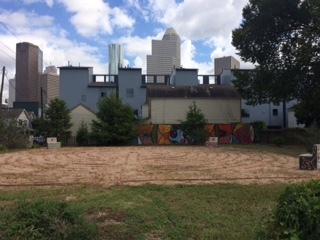 We started at St. Basil’s Cathedral at St. Thomas and then Historic Freedmen’s Town in mid-town with downtown Houston in the background. Kathy has a deep passion for her labyrinths which she enjoys sharing. Thank you Kathy. 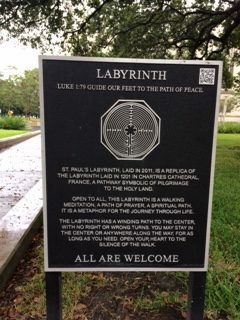 Who knew there were so many labyrinths in Houston! I went on this greet last week with a friend and it was terrific, Kathy was a great Greeter.! She knew so much about labyrinths – even brought a book to show us the various kinds. We started at one labyrinth and after we learned about that one we decided to follow her in our car and go to another one because people were walking the first one. She took us to a second one and we all walked it. Kathy was on time, even brought us water and also took us inside St. Basil Chapel. That alone was special! Thanks, Kathy.